Prokofiev’s Symphony No. 5 is one of just a handful of traditional Russian works that have advanced to become a celebrated repertoire piece in the area of conflict between socialist artistic realism and conservative modernism. Although, in contrast to his colleague Shostakovich, Prokofiev toed the party line and was highly privileged, which made it very difficult to believe his later claim that his art was free of politics, his music has touched the hearts of concertgoers all over the world. 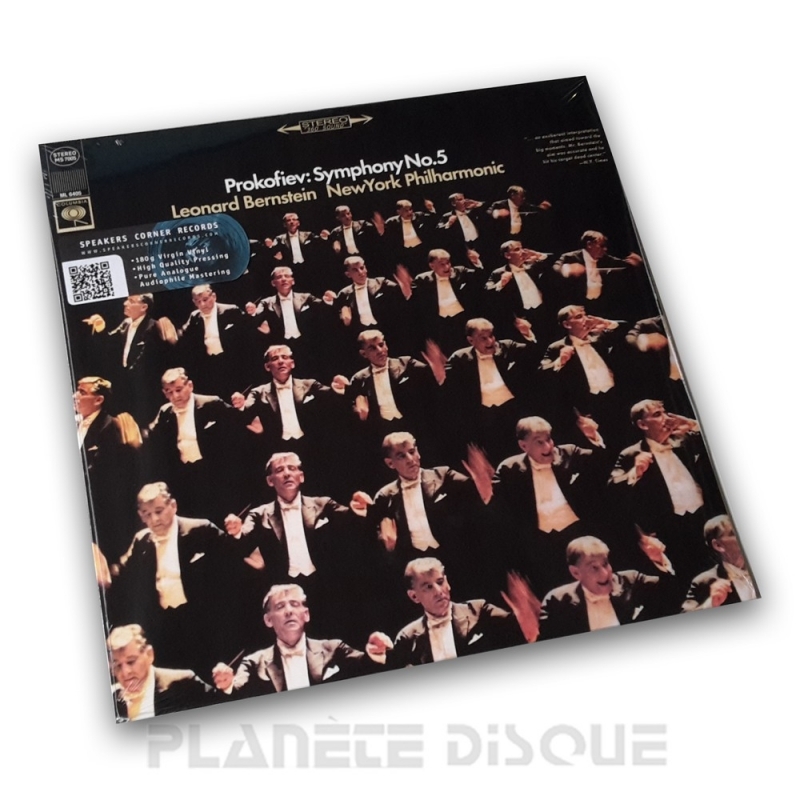 In the present recording, the cosmopolitan Leonard Bernstein and the New York Philharmonic present the whole beauty of the melodies that unfold in the first movement with full orchestral radiance. Cheerfulness as a »hymn to free and happy Man« is given voice in the clarinet theme of the burlesque second movement with its imaginative changes. Reminiscences of the "Symphonie classique" appear to be intentional. In the finale, Prokofiev proves himself to be a confident master of the classical-romantic canon form, which uses the theme of the first movement and new motifs to create far more than just a melodious apotheosis. Jagged, sharp and percussive final bars round off this supreme orchestral firework, which makes great demands on every single musician.